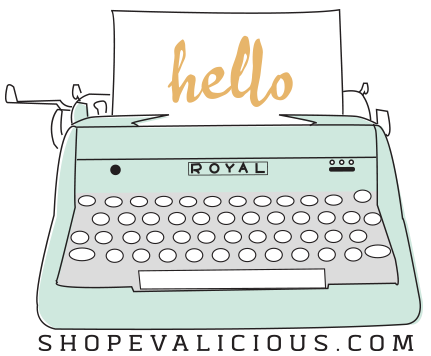 Hi there Evalicious fans! Christine here today with a 12x12 layout about a lunch date. One of my favorite ways to jazz up a white background is to use spray ink with a stencil. It makes the white background not quite so bare and adds lots of interest. My layouts usually feature a centered composition, so I thought I would switch it up this time with a bottom composition. I love how Evalicious products add just the right touch. I layered some papers behind my photo, then I added some gold thread, Evalicious puffy stickers, round tag, snip snip tab, and round arrow paper clip. For my title I cut out the “XO” freehand with scissors and stitched them onto my background paper. I added a wood veneer and puffy sticker to the middle of each letter. Finally I adhered some more puffy stickers and sequins for the finishing touch. Great post & layout Christine!